Visakh Refinery Modernisation Project (VRMP) is a brownfield expansion of the Visakh refinery located in Visakhapatnam, India. 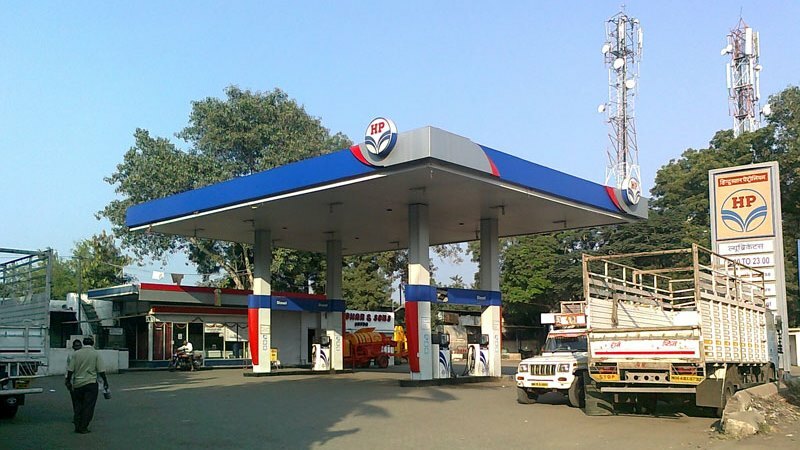 The project is being executed by the state-owned Hindustan Petroleum Corporation Limited (HPCL). VRMP will expand the refining capacity of the Visakh refinery from 8.3Mmpta (million metric tonnes per annum) to 15Mmpta, while enabling the production and distribution of Bharat Stage-VI (BS-VI)-compliant fuels. BS VI is a new emission standard that will align India’s motor vehicle regulations with European Union (EU) regulations for light-duty passenger cars and commercial vehicles, heavy-duty trucks and buses, and two-wheeled vehicles. The standard is due to be implemented in India from 2020. The VRMP project is estimated to involve an investment of approximately $3.1bn and is scheduled for completion in 2020. Visakh refinery was commissioned by Caltex Oil Refining (India) in 1957, with an installed capacity of 0.675Mmpta. The facility was acquired by the Government of India in 1976 and amalgamated with HPCL in 1978. The refinery’s capacity was increased to 4.5Mmpta under the first major expansion project in 1985, known as Visakh Refinery Expansion Project-I (VREP-I). Its refining capacity was increased to 7.5Mmpta under VREP-II in 1999, and again to 8.3Mmpta in 2010. HPCL received approval from the Ministry of Environment, Forest, and Climate Change (MoEFCC) for the VRMP in February 2016. The expansion project is being carried out on an area adjacent to the east portion of the existing site. The scope of the project consists of the installation of primary processing units such as a 9Mmpta crude distillation unit (CDU) replacing one of the three existing CDUs, a 3.3Mmpta vacuum gas oil hydrocracker and a 290,000tpa naphtha isomerisation unit (NIU). An additional 3.1Mmpta solvent de-asphalting (SDA) unit, a 2.5mpta slurry hydrocracker unit (SHCU) and a 96t/day propylene recovery unit (PRU) are also outlined in the plans. Other auxiliary units being built under the project include two 113,000Ktpa hydrogen generation units (HGUs), two 360t/day sulphur recovery units (SRUs) including tail gas treatment units (TGTUs), and a 36,000tpa fuel gas pressure-swing adsorption (PSA) unit. A 300t/h non hydro-processing sour-water stripper (SWS-I), a 185t/h hydro-processing sour-water stripper (SWS-II), two 540t/h amine regeneration units (ARUs), a 112,000TPA sulphur recovery LPG treating unit will also be installed. The current effluent treatment plants (EFPs) are set to be replaced by a 1,000m³/h integrated effluent treatment plant (IETP). Various existing units, including a naphtha hydro-treating unit, a continuous catalytic reformer and a diesel hydro-treating unit are also being revamped as part of the modernisation. Additionally, a duel fuel-powered captive power plant (CPP) will be built. The project will also involve the construction of a new utility system comprising a re-circulating sea cooling water system consisting of cooling tower cells and water pumps, as well as a demineralised water system featuring a new reverse osmosis (RO) system and water tanks. VRMP will implement Honeywell UOP Penex™ process technology to produce a high-octane gasoline component called isomerate, and a Unicracking™ hydrocracking unit to produce cleaner burning diesel fuel. The Penex employs high-activity isomerisation and benzene impregnation catalysts from Honeywell UOP. Unicracking processes use highly effective catalysts to yield higher quantities of cleaner-burning fuels from a range of feedstock. The innovative configuration of the fractionation unit ensures effective separation of the products, while minimising capital costs and operating expenses. The two processes will significantly increase the capability of the refinery to deliver petrol and diesel in compliance with the new BS-VI clean fuels standards. "VRMP will expand the refining capacity of the Visakh refinery from 8.3Mmpta to 15Mmpta, while enabling the production of Bharat Stage-VI (BS-VI)-compliant fuels." The planned integration of innovative technologies will also enhance gross margins of the refinery by generating high-value transportation fuels from low-value raw materials. Engineers India Ltd (EIL) was awarded a contract by HPCL in January 2017 to provide project management consultancy services for major processing units, as well as associated utilities and off sites (U&Os) being installed under the VRMP. Honeywell was selected to provide technologies and solutions developed by Honeywell UOP for the project in March 2017. As a global leader in pump design and manufacture, Sulzer is recognised for delivering the excellent product quality and performance reliability required for a wide range of applications in the hydrocarbon processing industry. Continuous Control Solutions (CCS) provides turbo machinery control solutions, including turnkey compressor anti-surge and gas / steam turbine control systems, to the oil and gas, chemical, metallurgy and power generation industries worldwide. Our services department can provide control systems servicing for all platforms inclusive of start-up and commissioning, and ongoing maintenance and servicing.